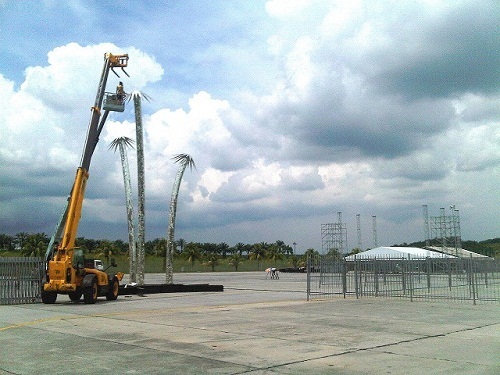 Wish, a 50 foot LED dandelion has arrived at Sepang International Circuit right on the heels of Malaysia’s premier electronic music festival, Heineken Thirst happening this 8 December. Installation of the towering structure is in progress & will be ready for its Asian debut. Already a favourite at international music festivals like Coachella Festival, Electric Daisy Carnival and Nocturnal Wonderland, the 50 foot high Wish will be a sight to behold this Saturday. Designed by San Francisco public art conceptualist Robert James, Wish consists of ‘three contemporary dandelions that are losing their seeds in the wind’. Clad in aluminium leaves and mirrored glass, the structure is edged with pulsating LEDs that react to the beats of music surrounding it. 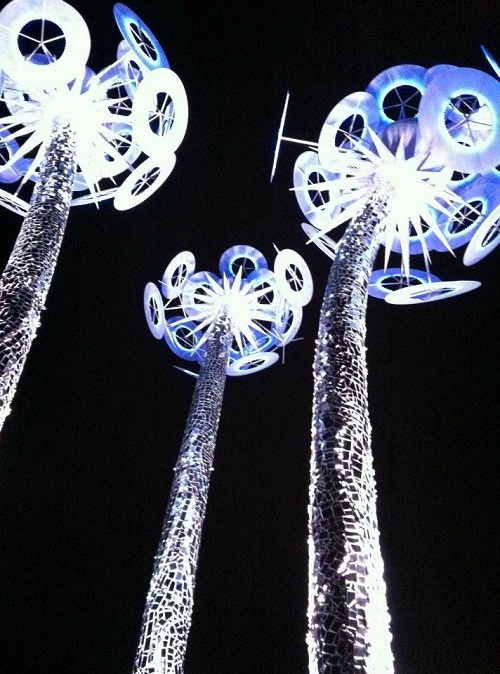 “Wish is a figurative sculpture of three dandelions losing their seeds in the wind. As a child, I was always told when you held a dandelion and blew the seeds off, that a wish was to be made. Building it from ground up for the first time here in Asia will be nostalgic and as epic as Heineken Thirst,” says its creator, Robert James. Get your tickets now as pre-sale tickets (RM128) are selling fast at all Rock Corner outlets. For more information on the event, download Heineken Thirst festival guide at (http://on.fb.me/SLpwmK) or follow Heineken’s Twitter (www.twitter.com/Heineken_MY). 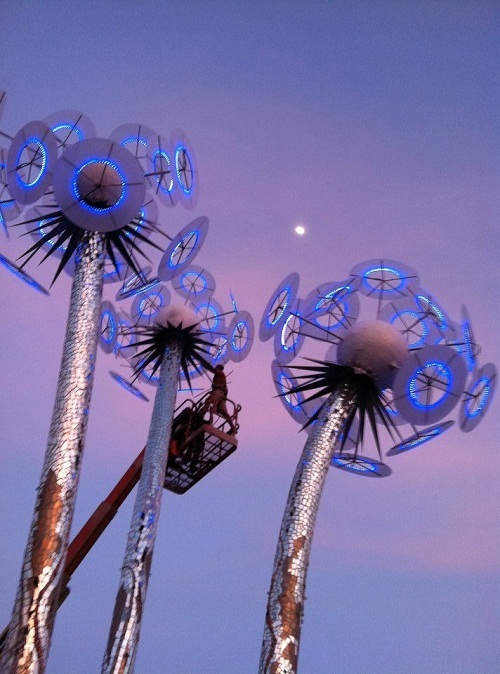 First in Asia: WISH – 50 foot high interactive LED dandelion & more!